Guest Bio: Bridget is AVP, Healthcare Claims Leader at QBE North America, an integrated specialist insurer, which offers commercial, personal and specialty lines capabilities to meet the targeted and evolving needs of its customers. Bridget joined QBE in 2016 after more than 30 years in healthcare delivery, risk management and medical professional liability insurance. She is responsible for the development and management of the QBE Healthcare Claims team. Prior to joining QBE, she was AVP, Healthcare Liability claims for Allied World Insurance, where she managed the healthcare claims department for the Midwest and West coast regions. Bridget has worked as a regional claims manager at American Physicians Assurance, was a principal at a medical legal consultancy and was the director of risk management at a hospital in Chicago. She began her career as a Registered Nurse. Bridget earned her Baccalaureate Degree in nursing from Elmhurst College and a Master of Jurisprudence Health Law from Loyola University School of Law. Segment Overview: Bridget Zaremba, a Healthcare Claims Practice Leader at QBE North America, discusses a white paper released on how the increased use of advanced practice clinicians (like Nurse Practitioners and Physician Assistants) is putting healthcare entities and physicians at risk and what physicians can do to mitigate these risks. Neal Howard: Welcome to Health Professional Radio. I’m your host Neal Howard. Glad that you could join us. Now in order to manage the rising cost of care and to contend with the growing shortage of doctors, healthcare facilities are increasingly relying on advanced practice clinicians or APCs in order to perform those medical tasks. When handled properly, this increased use poses a pretty viable solution to an emerging crisis but there is another side to this trend. 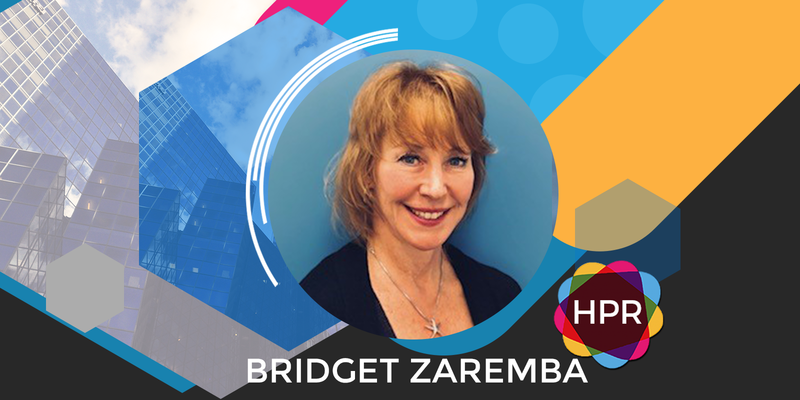 Our guest today is Bridget Zaremba, Healthcare Claims Practice Leader at QBE North America and she’s joining us here on the program to discuss a “white paper” that was released and it talks about how the increased use of APCs like nurse practitioners and physicians assistants is putting healthcare entities and doctors at risk and what physicians can do to kind of mitigate some of those risks. Welcome to the program Bridget. How are you? Bridget Zaremba: I’m fine. Thank you. N: Give our listeners a bit of background other than what I’ve told them about you being a healthcare claims practice leader at QBE. B: Well, I do a masters in health law and I also have a nursing background with a specialty in oncology and cardiology. I am currently one of the healthcare leads for QBE. QBE is an integrated specialist insurer and what we do is provide products with specialized expertise for example this white paper to help our customers recognize the emerging risks in the marketplace. N: Why is it a risk when these APCs are in place to alleviate some of the work? B: Well, let me give you Neal a little bit of background. Right now the United States is facing a gigantic primary care physician shortage. By 2020, we anticipate that we’re going to be short about 91,000 primary care physicians. These physicians are currently reaching retirement age. Hospitals can’t recruit them and as a result of the Affordable Care Act, there are 30 million more probably previously uninsured individuals who have entered the marketplace and the remaining physicians are absolutely overworked and they are over extended. So this is especially true in rural and underserved areas where there may not be a primary care physician for miles and people really may need urgent care. By way of example in South Dakota in 2011, they had 757 primary care physicians that were licensed but there were 19 counties in South Dakota that had absolutely no physician at all. So you can see where there’s a need for advanced practice clinicians to fill the gap. As an example South Dakota passed some new regulation to allow these advanced practice clinicians to practice more independently in these underserved areas. N: What are some of the risks involved with an overworked or over extended physician or someone that’s nearing retirement age and hasn’t retired yet but needs to? B: Well, the risks are plenty and these physicians are overworked. They often have too many patients and too little time to see them and where advanced practice clinicians come into play is they often have much more time to spend one-on-one with the patient. As a matter of fact, research has shown that patients actually evaluate their care much better than that of a physician because they have more time to spend with them. They are cost effective, usually. Generally speaking, an advanced practice clinician will charge half of what it would cost to go and see a physician. They’re also more available. So we have all these things coming into play meanwhile, we have no physician. Using an example of the rural and underserved areas, most of these are farming communities and in other underserved areas. For example, there’s a farming accident there might not be a physician for 50 miles and this is where an advanced practice clinician can come into play where they can treat the patient, refer a complex clinical picture of the letter if need be. It answers a huge need that we have right now. N: Have you noticed or heard about any, I guess trust issues as far as a physician proper and an APC such as a nurse practitioner or physician’s assistant? B: Well that’s an interesting topic and it’s really the primary reason for my paper. Every state has a Nurse Practice Act and a Physician Assistant Practice Act, but the thing is, they’re all just for each and every state. The regulations in one state may allow a nurse practitioner or physician assistants to prescribe medication or to work independently without immediate supervision and the state next-door, they might have to have a physician and staff in it, the APC might not be able to prescribe. So this is a huge disparity across the state and specifically, even within certain states the statutes are different. For example in Oregon, it has a bunch of underserved areas where APCs are allowed to practice independently but in other parts of Oregon, they may not. So this is an answer to their need for primary care physicians but it also represents a very big area of risk for healthcare entities because these are very technical regulations and they are changing frequently. For example in 2017 in Wisconsin, the legislators teamed up with the Hospital Association and completely changed the regulations in Wisconsin to allow nurse practitioners to actually lead an entire hospital team at a community hospital, Rusk Community Hospital, Wisconsin. It’s initially hugely forward. It also presents a lot of exposure and liability. N: This exposure and liability, it’s doubled I suppose in an area of the state where an APC is not allowed to practice independently because if they’re not allowed to practice independently that means they’re attached to another entity, that entity gets sued because of the APCs actions whereas the APC and the other part of the state is sued totally on their own. Is that also what’s going on? B: That’s absolutely correct and like I said, it changes from state to state which is a big challenge for people who are trying to ensure these entities and to ensure these advanced practice clinicians. The physicians are exposed because they may be charged with failure to supervise. The thing is depending on the state you’re in. Supervision can mean a million different things. You might mean the physician needs to be on site. It might mean the physician can electronically check in with the APC once a month and it’s completely different depending on where the practice is taking place and that’s why the expertise in these technical areas is really imperative. N: How much head-butting for lack of a better term, I’m sure I could come up with it, goes on between APCs and physicians proper, they’re both on the same team, they both have the same goal which is the best outcome for the patient? But say an APC thinks this diagnosis and the doctor thinks this diagnosis, who wins? What happens in that situation and I’m sure that is something that carries some potential liability as well? B: It certainly does. It’s interesting that you bring that up because again, it goes back to state specific. What are the requirements for supervision? Is it an area where the APC is allowed to diagnose, treat and prescribe or is it in an area where the APC is only allowed to diagnose but they have to have a physician to step in to treat and prescribe? And again, it’s state specific. Interestingly, there is a movement among the group of family practice physicians to, there was a body that issued a statement saying that they need to increase their hours and availability because the workforce for APCs are taking away some of their business share. So there is head-butting. There is a lot of head-butting within these two entities. On the other hand, some physicians are glad that they are getting some relief from the glut of patients that they’re seeing especially since there’s so many more previously uninsured people in the marketplace right now. N: Where can we go and learn a little bit more about QBE North America and get it a little bit more of a handle on advanced practice clinicians seeing as how many of us and many of our listeners may be utilizing their services at some point? B: Sure, qbe.com and you can go under specialty and that’s where you’ll find a healthcare but QBE is an integrated insurer. So what we are promoting is going across business lines so that we can present solutions for our insured. For example a hospital we would insure them for medical malpractice but we might also be able to insure aviation if they have a helipad or a helicopter or coverage. So online is where you can find everything you need to know about mitigating your risks and innovative solutions. And my paper should be published certainly so I’ll be able to point you in the right direction. N: When you come back, we’ll be more than happy to discuss that. Thank you for coming in today. B: Thank you very much, it’s my pleasure. N: You’ve been listening to Health Professional Radio. I’m your host Neal Howard with Bridget Zaremba. Transcripts and audio of the program are available at healthprofessionalradio.com.au and also at hpr.fm.